More than a century after its beginnings, modernism still has the power to shock, alienate or challenge readers. Modernist art and literature remain thought of as complex and difficult. This introduction explains in a readable, lively style how modernism emerged, how it is defined, and how it developed in different forms and genres. Pericles Lewis offers students a survey of literature and art in England, Ireland and Europe at the beginning of the twentieth century. He also provides an overview of critical thought on modernism and its continuing influence on the arts today, reflecting the interests of current scholarship in the social and cultural contexts of modernism. The comparative perspective on Anglo-American and European modernism shows how European movements have influenced the development of English-language modernism. Illustrated with works of art and featuring suggestions for further study, this is the ideal introduction to understanding and enjoying modernist literature and art. 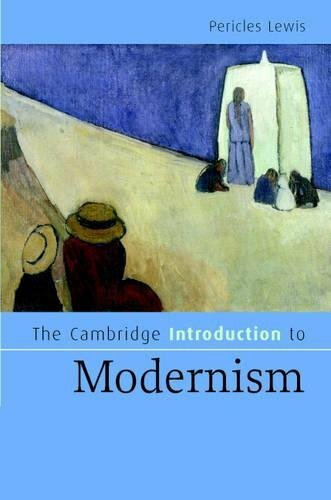 This introduction explains in a readable, lively style how modernism emerged, how it is defined, and how it developed in different forms and genres. Illustrated with works of art and featuring suggestions for further study, this is the ideal introduction to understanding and enjoying modernist literature and art.